1. Robert Nkemdiche, the nation’s #1 football recruit and the kid who tried to take my head off in this video, sits behind Joelan in “Home Economics” class. 2. 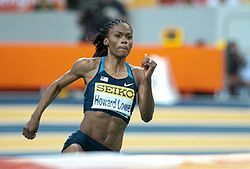 Joelan’s homeroom teacher, Chaunte Lowe, is competing in the Olympics. 3. God is moving faster than Usain Bolt on Graystone’s first expansion campus in Monroe. 4. We are giving away $12,000 at Graystone’s 12:00pm service this Sunday. 5. Instead of simply “going to church” on September 2, we will “be the church” as we serve our community with our 2nd Annual Graystone Serves. Graystone is launching our first expansion campus in Monroe.